operation and upper-lower double heating. Components can be customized as required. 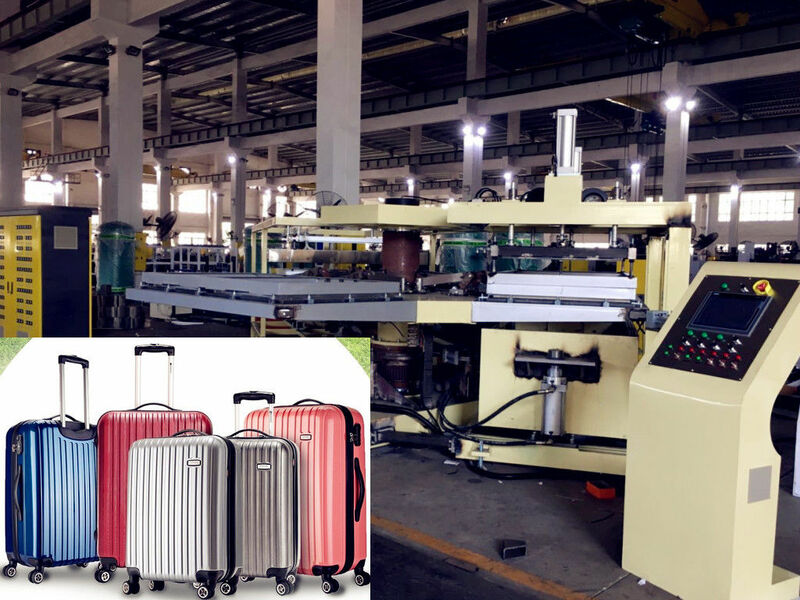 It uses special temperature control design system, It shorten the heating period and the plastic sheets gets a even heating. 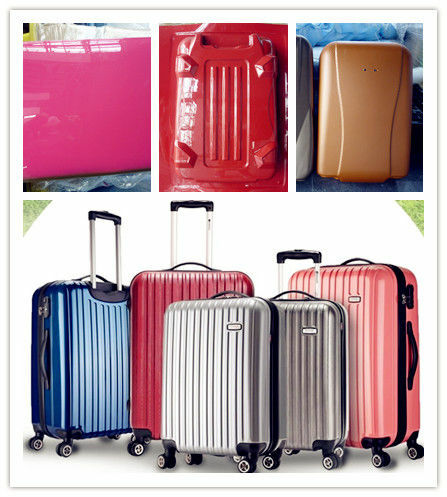 ACE china; Summit luggage; Ambassador and so on. 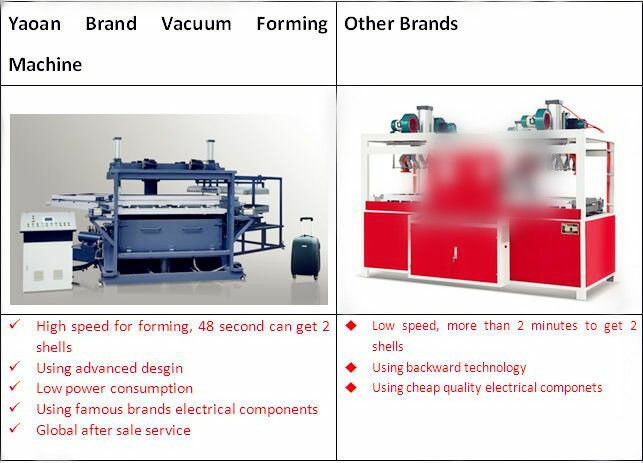 The quality and advantages are highly accepted by these users. High speed for forming, only 48 seconds can get 2 shells!